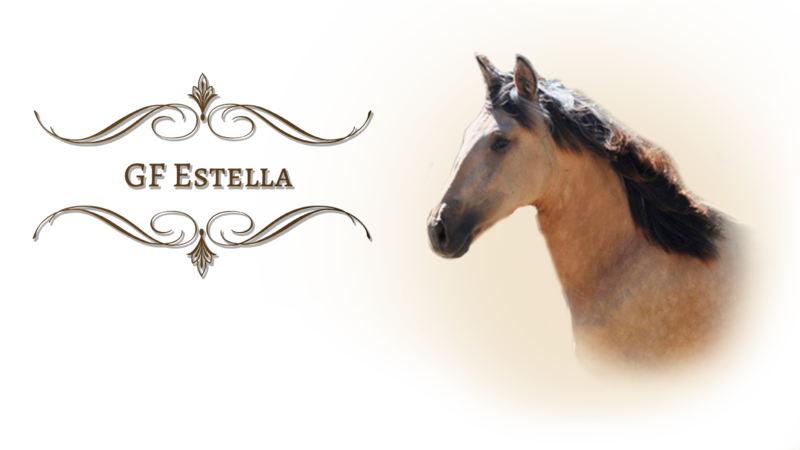 Stella is a stunning combination of her sire and dam. She is a beautiful, fluid mover with gorgeous suspension. She appears to have a natural tendency toward collection, often spotted floating through the pasture. She is very bright and engaging, curious about her world and all of the humans coming and going in it. Stella is level headed and naturally confident. Stella seems to learn quickly and has handled everything from the vet to the Ferrier with ease. At two years old we see her as left brained with a tendency toward being extroverted. Her intelligence, willing attitude, athletic ability, and exotic color all combine to make her a very special filly destined to be a great competitor. 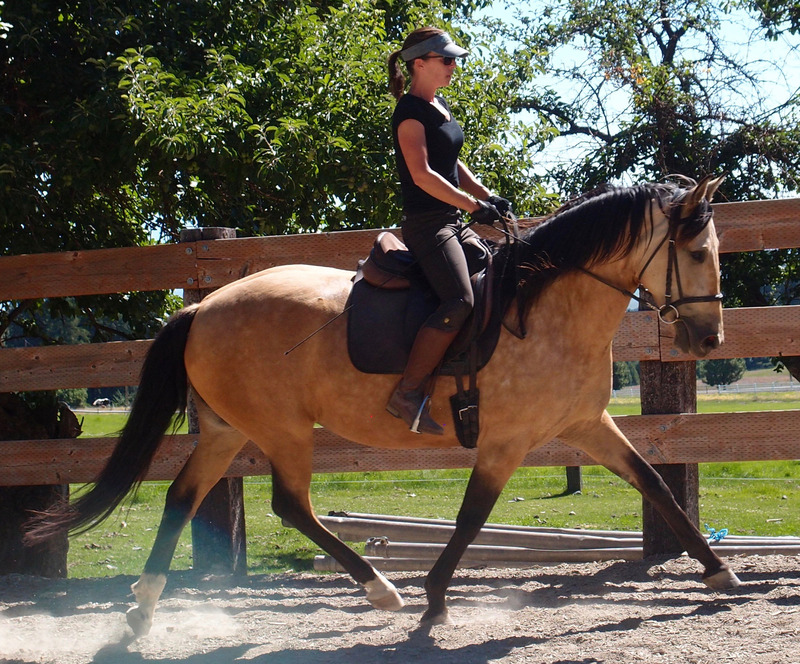 Summer of 2015 we started Estella in long lines and did some minimal work under saddle. She has shown the same incredible movement and aptitude of her dam, GF Isabel Rosa. Summer of 2016 we are seeing wonderful progress as we continue Stella’s training and development. She is a true athlete with great work ethic.